What Do We Do About The Man In the Mirror? For those of us who grew up listening to Michael Jackson, every song of his seems to bring back a wave of nostalgia. That being said, the new HBO documentary, Leaving Neverland, leaves us with a queasy feeling of uncertainty. — Robson on the moment he learned he'd meet MJ himself. The film takes a deep dive into the sexual abuse allegations against Michael Jackson. But in the world of canceling artists that step out of line or make mistakes, where does the King of Pop stand? After all, generations upon generations have grown up on his music. Dozens of his songs stand as staple pieces for weddings, parties and throwback hits. The truth of the matter is that it’s much more complicated than just not listening to his music and getting rid of (or at least trying to get rid of) his legacy, however, skewed that may be. Regardless of the accusations held against him and regardless of societies opinion on Michael Jackson, it’s always been taken as a universal opinion that his music was good. Not just good, but the best of it’s kind. He didn’t get the title ‘King of Pop’ for nothing. But now, in light of the gut-wrenching accusations, it seems like it’s become harder to love and listen to his music. Songs like “P.Y.T, Pretty Young Thing” don’t bode well with the circumstances surrounding the allegations brought up in the documentary. Testimonies from the two men, James Safechuck and Wade Robinson, are excruciating. Safechuck was a child actor and met Michael when he landed the role for a Pepsi commercial. He was 8 years old. Robson met Jackson when he was 5 and won a dance contest that granted him a chance to meet the King of Pop himself. “Out of all the kids in the world, he chose me to be his friend,” says Robson on the moment he learned he’d meet MJ himself. The men, now 37 and 41 years old, recall their visits to Neverland and how everything slowly escalated to inappropriate territories. Visits turned into sleepovers, and sleepovers turned into sexual abuse. They tell of how Jackson quickly grew fond of the boys and how he slowly intertwined himself in the boy’s families and became a close family friend. The first part of the documentary interviews Safechuck, Robson, and family members who describe how awed they were that the most famous man on the planet was giving them so much attention, so overcome with the shock they saw nothing wrong with their young boys sleeping over at the grown man’s house. “It [was] like a fairyland,” said Robson’s mother of her first trip to the Neverland Ranch, still seeming bewildered from the whole experience, even years later. While watching these details unfold, one might find themselves asking how it all even came to happen. 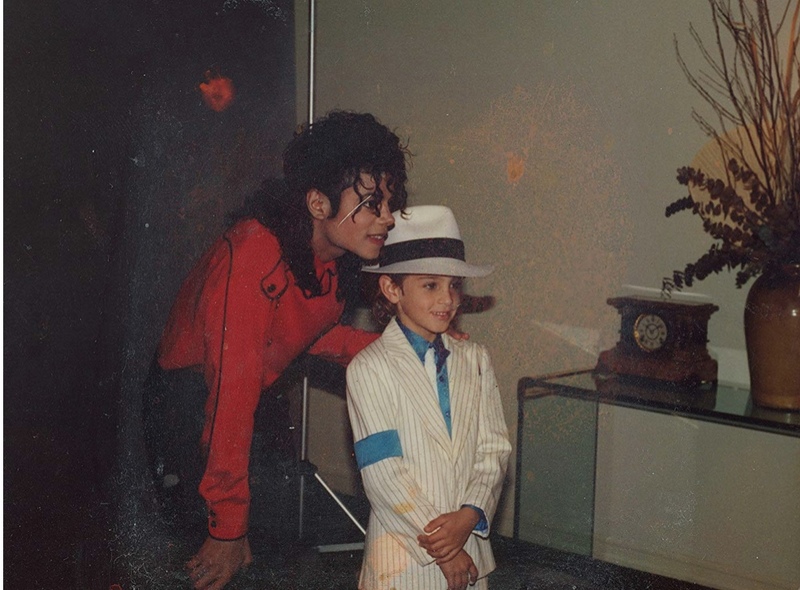 “For me to look back on the scenario now, what you’d think would be kind of like standard instincts and judgment seemed to go out the window,” said Robson after describing his first sexual encounter with Jackson at age 7 on his trip to Neverland. All this being said, Michael Jackson, has been deceased for 10 years. He is not here to defend or to speak for himself. And let’s be honest, the man had a rough life. From his unsettling childhood growing up in a spotlight, he didn’t really have a choice being in, to his plagued relationship with the tabloids and even to the very end of his life and his death, he had some serious issues. Does that excuse everything? Well, of course not. But we all realize that with Michael Jackson, it’s different. He and his music are too deeply rooted in our society. It’s hard to imagine not tapping your feet or bobbing your head along to any and almost every one of his songs. Even after the documentary, it’s hard to believe that everyone will freeze up in disgust when they hear a Michael Jackson song. To cancel the King Of Pop would be like removing the very heart of the entertainment industry, which as we all know, is deeply flawed but nevertheless plays a big role in our lives. In the end, we all can’t make a collective decision. Michael Jackson’s legacy and his influence are too complex for that. There will be die-hard fans who will never stop humming their favorite tunes of his and there will be people who never wish to hear a single note from this man ever again. And there will be people in the middle, like me, who understand that the man behind the mirror was flawed (at the very least), but his music played an important role and to purge life of all things Michael Jackson seems unrealistic. It goes without saying that it’s much easier to repudiate a person than it is to rid your conscience of their memory, and that definitely stands true for a man as celebrated as the King of Pop.